Demonstrate that a charge cannot exist inside a conductor and re-create Faraday’s classic “ice pail” experiment with this kit. 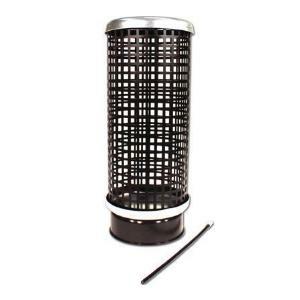 Includes a perforated metal cage with stand and cover as well as a mounted metal point for the lightning rod effect. With instructions. Size: 12cm dia. x 27cm H.